Jeanine Tescri and Brian Crawley's rare gem becomes the second show in the 2018/19 season from Bay Area Musicals. Touching, meaningful and infused with gospel, folk and bluegrass influences, Violet teaches us that when it comes to healing, the wonder of a cure might just come from inside ourselves. 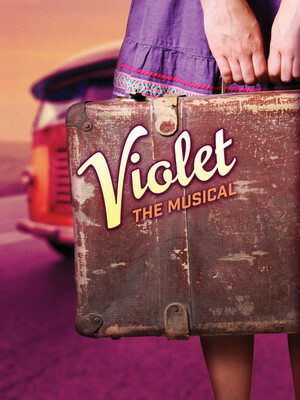 First seen Off-Broadway in 1997 where it took the Drama Critic's Circle and the Lucille Lortel awards for Best Musical, Violet transferred to the Great White Way starring Sutton Foster in 2014 where it bowled the critics over with its strong message of love, growth and inner strength. For this intimate new production, direction will come from Bay Area Musicals founder Matthew McCoy, with music direction from Jon Gallo. Set in 1964, the titular Violet is a young woman on a mission; to meet a noted T.V evangelist and get him to perform a miracle by removing her facial disfigurement through the power of prayer. With a ticket and a tiny suitcase, she boards a Greyhound to take her across the country to his Tulsa church, beginning a road trip full of characters - and lessons - she'll never forget. Sound good to you? 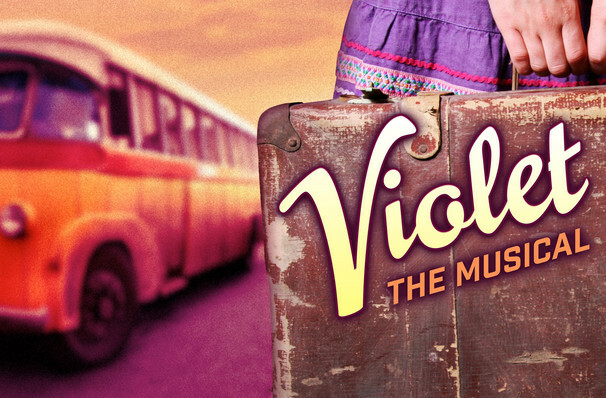 Share this page on social media and let your friends know about Violet at Alcazar Theatre. Please note: The term Alcazar Theatre and/or Violet as well as all associated graphics, logos, and/or other trademarks, tradenames or copyrights are the property of the Alcazar Theatre and/or Violet and are used herein for factual descriptive purposes only. We are in no way associated with or authorized by the Alcazar Theatre and/or Violet and neither that entity nor any of its affiliates have licensed or endorsed us to sell tickets, goods and or services in conjunction with their events.